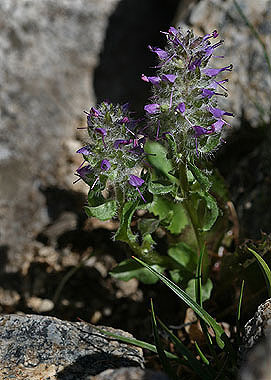 Besseya alpina grows among rocks at alpine elevations. 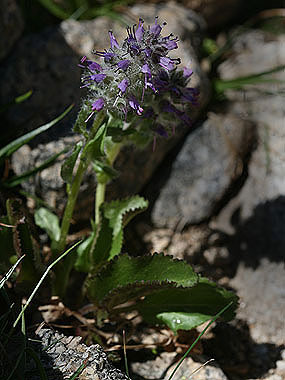 Basal leaves are toothed and are larger than the stem leaves. The inflorescence is hairy. Two stamens stick out from each flower. Plants are 2 to 8 inches tall.